Many people may not know this, but having healthy gums is absolutely crucial to you having a healthy, beautiful smile. Your gums are the foundation to your smile, and if they are compromised in any sort of negative way, the effects can be detrimental. Gum disease plagues over 80 percent of Americans, and many of them do not know that they are living with the disease. Because Dr. Robert Long and Dr. Chris Long understand the importance of excellent gum health, they are able to offer gum disease therapy to their patients at their Midlothian, TX dental office. Though many people may be unaware of this fact, if you are living with gum disease, you are not only putting your oral health at risk, but also risking the health of your body as a whole. Untreated gum disease puts you more at risk to heart disease, stroke, dementia, Alzheimer’s, bone loss, tooth loss, and much more. If you are unaware as to whether or not you are living with gum disease, a few symptoms include gums that are discolored, gums that are sensitive to the touch, red or swollen gums, and gums that bleed whenever you brush or floss. It is very important to contact our office if you are experiencing any of these symptoms. 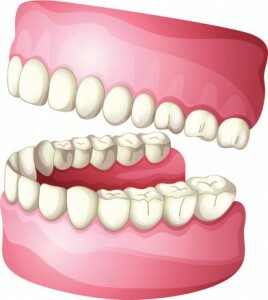 A couple of ways we are able to treat your gum disease is through scaling and root planing. Scaling involves removing the harmful bacteria from below the gum line, allowing you to have a healthier smile. Root planing is where we smooth out the rough areas on your tooth’s root, promoting your gum’s reattachment to the tooth itself. We will also reinforce healthy oral care routines, ensuring your gums stay healthy for as long as possible. If you would like Drs. Long to help you with gum disease therapy, contact our office today!